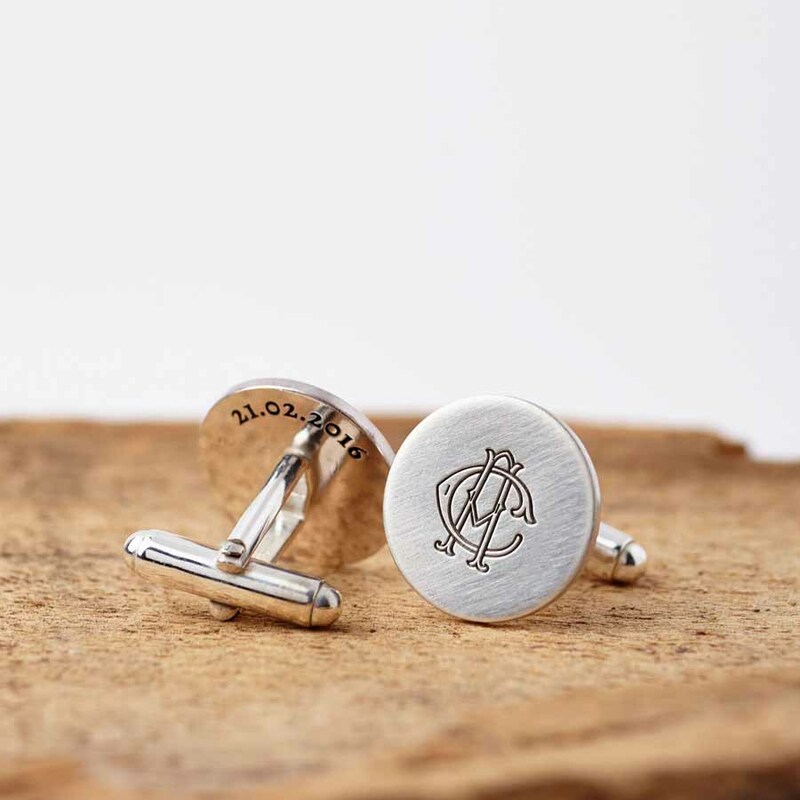 Beautiful sterling silver cufflinks featuring a unique, intertwined monogram. 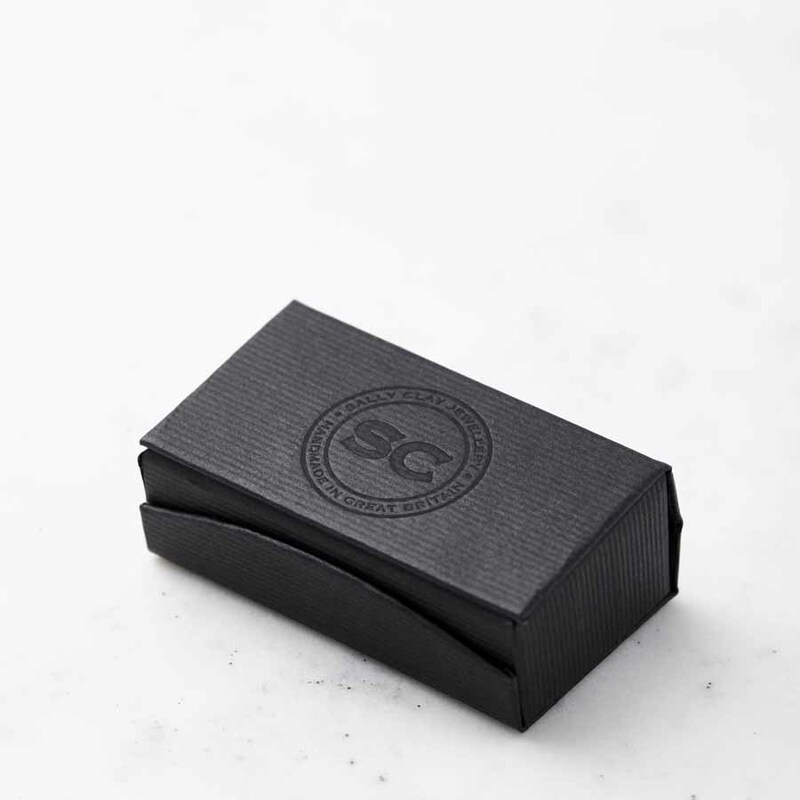 These cufflinks are handmade to order in Sally’s studio. 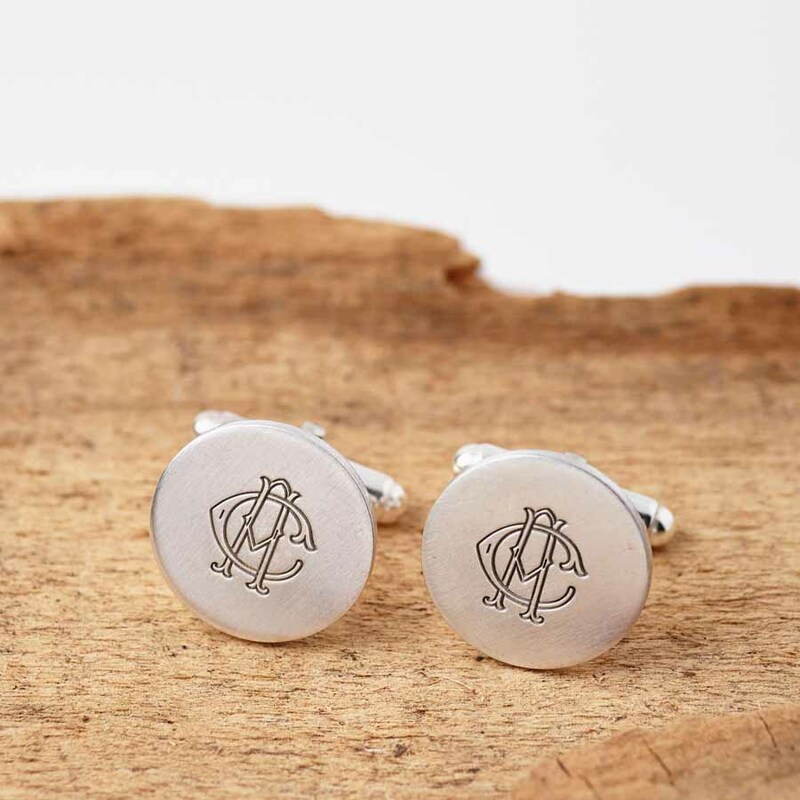 The two initials for the monogram could be the wearers initials, yours and his initials combined, or perhaps the children’s initials. 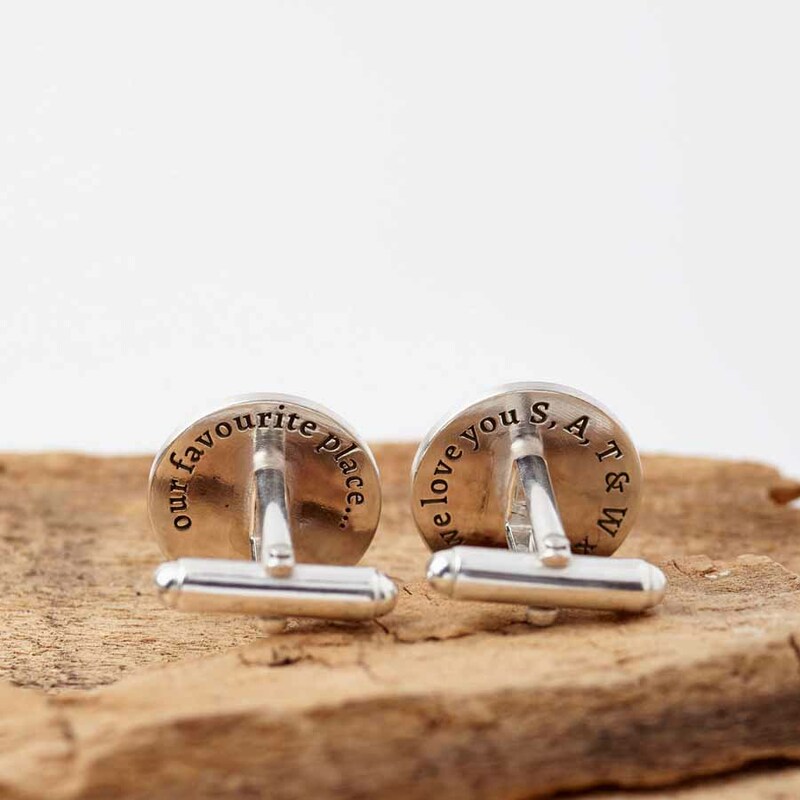 These would make the perfect gift for your groom to wear on your wedding day, or as an anniversary gift , birthday present or Christening gift. Please contact us if you’d like to see how your initials would look as a monogram before placing an order. This item is hand made to order, and may vary slightly in appearance to the photograph.